Dealing with the aftermath of a storm is hard enough without storm chasers making matters worse. Storm chasers are door-to-door “contractors” who only appear after a storm or other major event, offering quick fixes to damaged roofs. Their offers may sound like a good deal at first, but trust us: they’re more trouble than they’re worth. Here some reasons you should avoid storm chasers and instead entrust your roofing needs to professional roofing companies in Northwest Indiana. They don’t have a local place of business – Storm chasers offer too-good-to-be-true rates for their services. You should know that hiring them is very risky: you won’t be able to reach them if you have follow-up work done. Legitimate local contractors such as ourselves have a proper place of business that you can visit, and if we ever make an error with our repair work, we’re just a phone call or a visit away. Their work quality is questionable – Storm chasers try to get as many contracts as they can in the shortest time possible, as their motivation is in making a quick buck. This means that they’re likely to perform inferior work, and would camouflage them so you won’t notice it until much later. However, you won’t have to worry about bad repair work with professional roofers: all our repair work are designed as long-term solutions for your roofing problems. 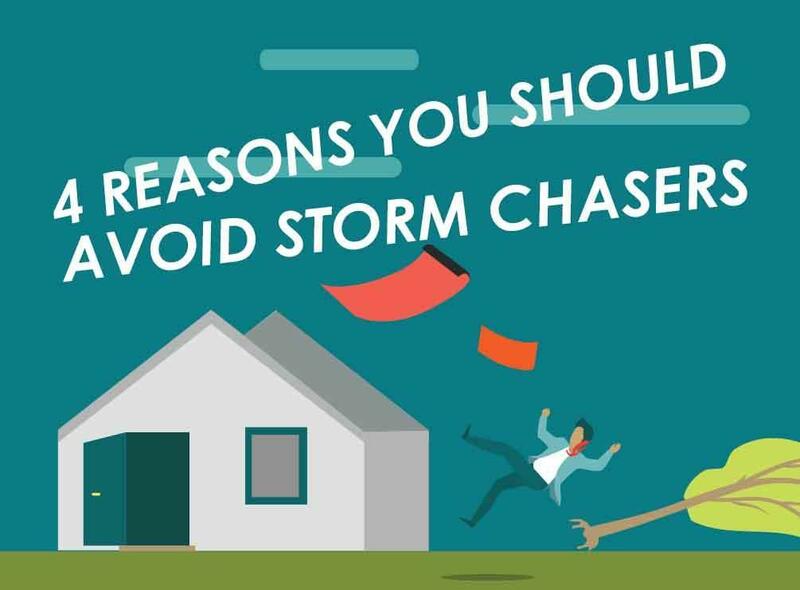 They have no local roots – Storm chasers come from out of town and are likely not familiar with local building codes and regulations. Hiring storm chasers may place your home at risk of being noncompliant with local codes, which means you would eventually end up spending more money to hire a legitimate roofer in Chicago to correct their “repairs”. They have few or nonexistent customer feedback – Storm chasers aren’t likely to operate under a registered business name, which means you won’t be able to find existing customer feedback or even find them at the Better Business Bureau database. Plus, they can switch to a different name if the old name had gathered a bad reputation. For hassle-free and guaranteed quality service, trust your local roofer for all things concerning your roofing in Schererville, IN. For more information about our roof repair services, call Rogers Roofing today at (219) 228-8210 or fill out our contact form for a free, no-obligation estimate.